No matter if you've been welding for a few days, or a few years, there's almost no one that has all the settings for all the different metal thickness, and kinds of metal memorized. In these moments, you may think; "I wish I could ask a pro..." Well, Miller Electric has got you covered. 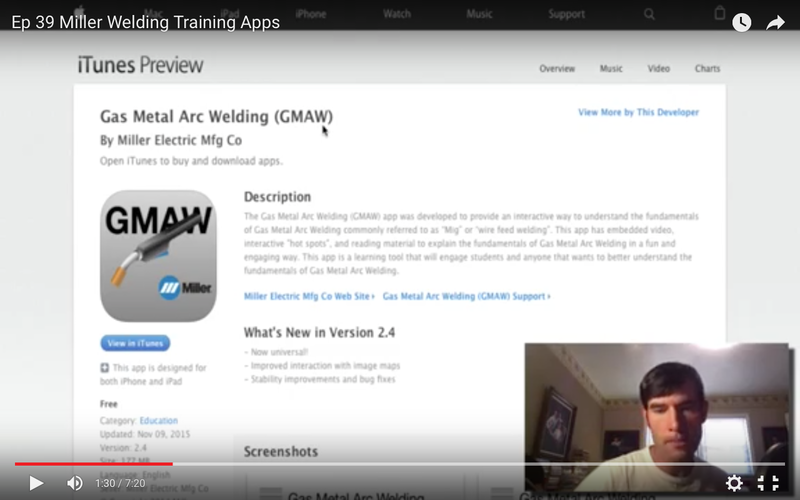 They have a good bit of training material available to the public thru sites such as www.millerwelds.com and various other sites. However, you may not always be able to look thru various sites, read thru various articles, or wait for an email response. If this is the case, Miller Electric still has you covered. They have developed various welding specific apps that do everything from teach you how to weld, all the way to specify and calculate your welder settings to weld what you need, at the time that you need it. As for learning budget and beginner fabrication techniques, tool selection, and theory, that's best found right thru my own site. www.beginnersfab.com, or www.bgrfab.com.